Various behavioral triggers and prompt website visitors for a call when they're interested. Widget triggers find out when your visitors are interested, and prompt them for a call when they are. You can control the level of scroll by percentage (%). The widget triggers after a visitor spends a certain amount of time on your page. The widget triggers upon click on a CSS element, such as image or button. Use Case: Contact page or demo page. 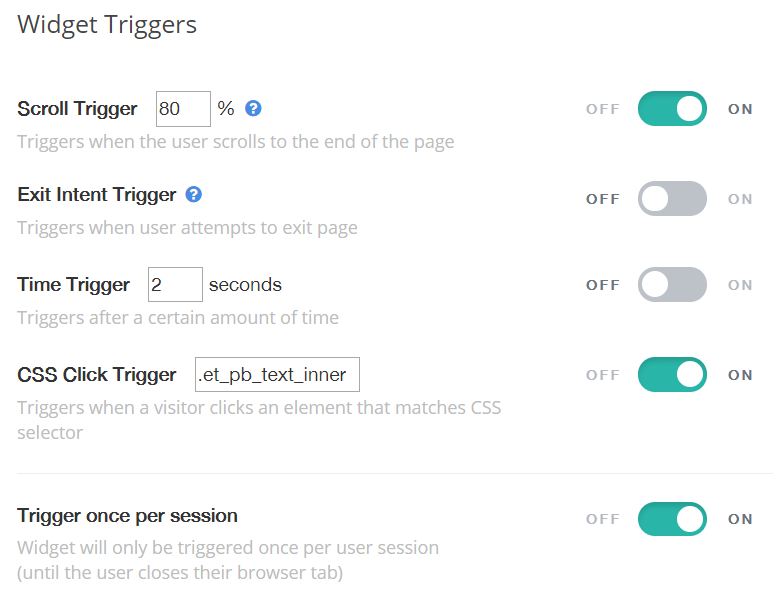 You can set how your widget triggers to your customers.